Onkyo USA has announced two key additions to its senior leadership team. Joe Petrillo has been promoted to chief operating officer; Petrillo had previously served as vice president of sales and business development. In addition, industry veteran Bob Weissburg has joined the company in the newly created position of senior vice president. Petrillo has been with Onkyo USA for over 16 years. During his tenure, he has helped the company solidify its position as one of the premier consumer electronic brands in North America, and strengthened its distribution portfolio with such highly regarded properties as Pioneer, Pioneer ELITE, Integra, and Esoteric. Petrillo has played an instrumental role in helping the company broaden its U.S. sales channels. Prior to joining Onkyo USA, Petrillo held sales positions with Bose Corporation and Tops Appliance City. 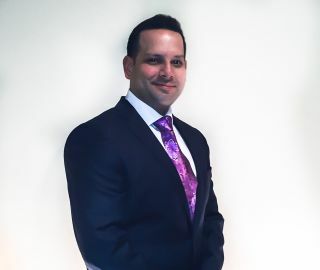 In his new position, Petrillo will be responsible for the day-to-day operations for the company and report directly to Jason Sausto, the company's owner. Weissburg has held a variety of senior management positions at top consumer electronic companies including vice president of home audio for Sony Electronics. In his new role, Weissburg will oversee all North and Latin American sales and product planning. He will report to Petrillo.